Intel has unveiled its next-generation chip, Intel Xeon Phi (also called Knights Landing), at the International Supercomputing Conference in Leipzig, Germany. The processor, which has an array of integrated hardware capabilities for high-performance computing, will be generally available in the second half of 2015 for use in supercomputers. 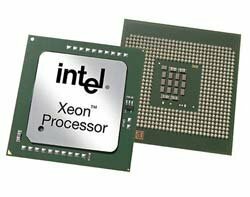 The Xeon Phi processor features Omni Scale fabric, a high-speed fabric that offers fast data transfers and better power efficiency, and features high-bandwidth on-package memory. According to Intel, integrating fabric and memory improves the performance and density of supercomputers, but these features are currently available only as separate components in a server, limiting its performance. As well as being part of Phi processors, Omni Scale fabric will be integrated into future general-purpose Intel Xeon processors. This integration is designed to address the performance, scalability, reliability, power and density requirements of future HPC deployments, said Intel. It is also designed to balance price and performance for entry-level through to extreme-scale deployments. The Omni Scale fabric will include a full suite of adapters, edge switches, director switch systems, and open-source fabric management and software tools. The traditional electrical transceivers found in the switches in today's fabrics will be replaced by Intel Silicon Photonics-based solutions, enabling increased port density, simplified cabling and reduced cost. Xeon Phi, or Knights Landing, will be available as a standalone processor mounted on the motherboard socket or as a PCIe-based card option. The socketed option removes programming complexities and bandwidth bottlenecks of data transfer over PCIe, which are common in GPU and accelerator solutions. Powered by more than 60 HPC-enhanced Silvermont architecture-based cores, Knights Landing can deliver peak performance of more than 3 teraflops – equivalent to high-performance graphic chip-sets’ performance in supercomputers, said Intel. As a standalone server processor, Phi will support DDR4 system memory comparable in capacity and bandwidth to Intel Xeon processor-based platforms, enabling applications that have a much larger memory footprint. One organisation looking to use Xeon Phi is the National Energy Research Scientific Computing Center (NERSC), which is planning an HPC installation for 2016, serving more than 5,000 users and 700 extreme-scale science projects. NERSC director Sudip Dosanjh said the organisation's Knights Landing supercomputer, known as Cori, “will provide a significant increase in capability for our users and will provide a platform for transitioning our very broad user community to many core architectures”. Cori will comprise more than 9,300 Intel Knights Landing processors and will serve as an on-ramp to exascale for the centre’s users through an accessible programming model. “Our codes, which are often memory-bandwidth limited, will also benefit greatly from Knights Landing's high speed on package memory," said Dosanjh. "We look forward to enabling new science that cannot be done on today's supercomputers." Intel said its systems account for 85% of all supercomputers in the 43rd edition of the TOP500 list announced at ISC 2014, and 97% of all new additions. China’s National University of Defense Technology’s supercomputer Tianhe-2 has retained its position as the world’s number one system, with a performance of 33.86 petaflops (quadrillions of calculations per second) for the third consecutive time. Addison Snell, chief executive of research firm Intersect360, said Intel recorded strong growth in HPC in 2013 even though the top three server suppliers – IBM, HP and Dell – collectively declined in HPC revenue. Charles Wuischpard, vice-president and general manager of Workstations and HPC at Intel, said: "Intel is re-architecting the fundamental building block of HPC systems by integrating Omni Scale fabric into Knights Landing, marking a significant inflection and milestone for the HPC industry. "Knights Landing will be the first true many-core processor to address today's memory and I/O [input/output] performance challenges. It will allow programmers to leverage existing code and standard programming models to achieve significant performance gains on a wide set of applications. Its platform design, programming model and balanced performance makes it the first viable step towards exascale." Intel estimates that the HPC segment of the datacentre market will grow by more than 20% by 2017.